Looking for somewhere outside of Kuala Lumpur to take the kids for the day? Here are my Top 10 Day Trips. 1. 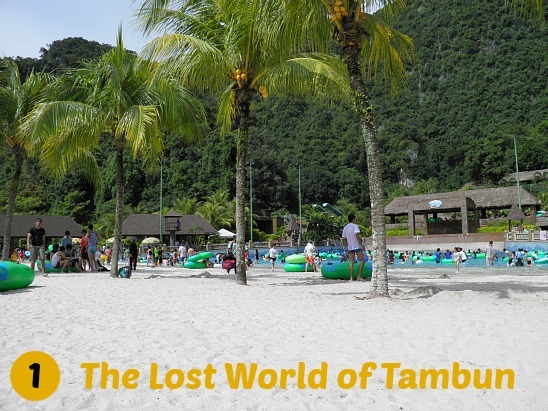 The Lost World of Tambun is a fun theme park on the outskirts of Ipoh. Kids will love the giant water slides, lazy river and pool play area. Parents can relax on the man-made beach and admire the stunning limestone cliffs surrounding the resort. There are also natural hot springs, a spa and a great petting zoo in a gorgeous natural setting. This resort has something for all the family and is just over 2 hours drive from KL. 2. 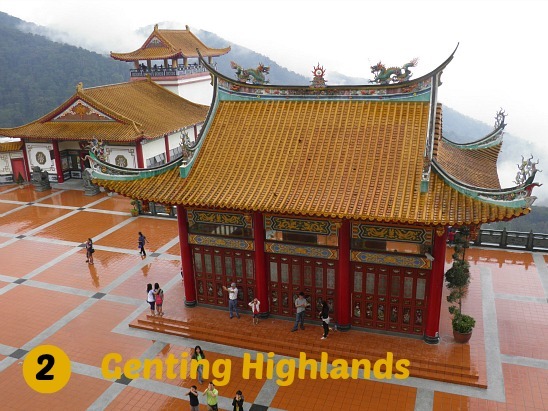 Another theme park is Genting Highlands, a high-rise entertainment complex perched on a 6,000 foot high mountain just 45 minutes drive from KL. Even though it is primarily a gambling destination, there are lots of fun rides and attractions here for kids, both indoors and outdoors. Children will enjoy the cool misty mountain air after the heat of KL. 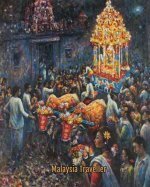 Also visit the nearby Chin Swee Caves Temple where kids can learn what happens to them if they do not respect their parents! 3. 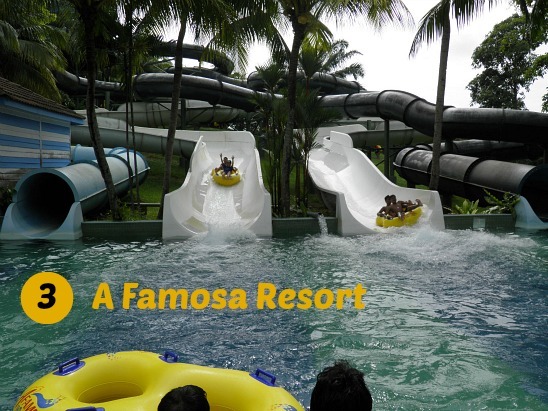 A Famosa Resort in Melaka state comprises a water theme park with some of the most thrilling slides in Malaysia (including a scary seven story high speed slide), a safari park where kids can hand feed small monkeys, and A Famosa Cowboy Town, open in the evenings only. This huge resort, which is about an hour’s drive from KL, also has a golf course if Mum or Dad can take time off from parenting duties. 4. 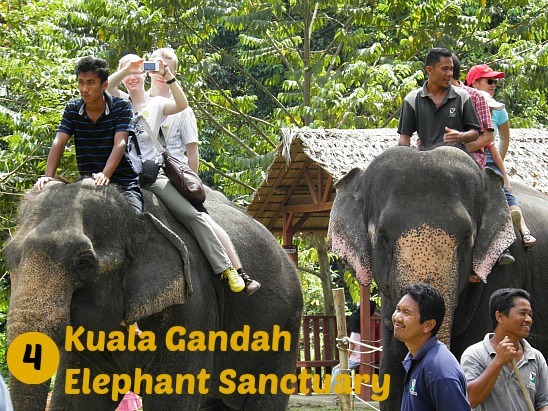 Kuala Gandah Elephant Sanctuary is dedicated to the protection of wild elephants and is a popular family destination a couple of hours drive from KL. Kids can hand-feed elephants with nuts and fruit. There is also the opportunity for a bare-back elephant ride or to help with washing the elephants. At the nearby Deerland, kids can feed tame deer or even pose with a large python. This is a fun mini-zoo but safety standards are lax so take care. 5. 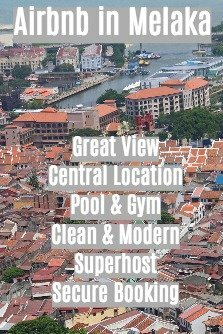 The historic city of Melaka is crammed with heritage buildings and places of interest. A 45 minute Melaka River Cruise is a comfortable and inexpensive way to explore the city and see giant monitor lizards on the river bank. Menara Taming Sari is a 110 metre high tower with a revolving observation platform providing visitors with 360 degree views. 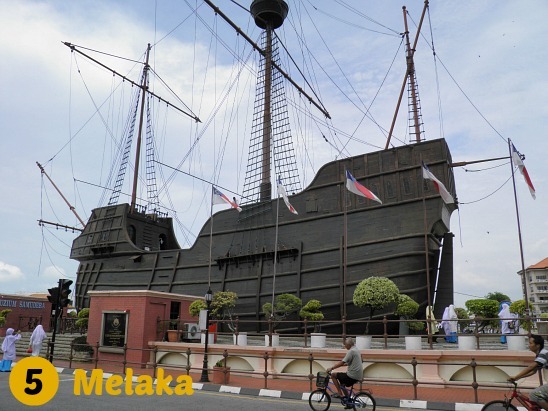 There are lots of museums in Melaka including a replica Flor De La Mar treasure galleon which will appeal to boys especially. 6. The small town of Kuala Selangor should keep the kids amused for a while. 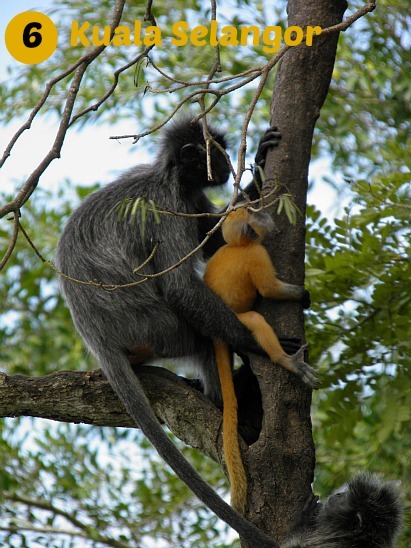 See crabs, mud skippers, macaques and exotic birds at the mangrove forests at the Nature Park. 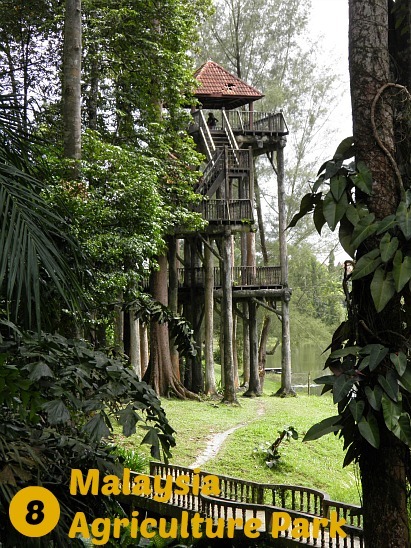 Then visit Bukit Melawati with its old fort, tram ride, lighthouse, museum and inquisitive silver leaf monkeys and in the evening catch a boat to watch the famous fireflies put on their nightly illuminations. The town is also famous for its seafood restaurants. Only one hour from KL. 7. 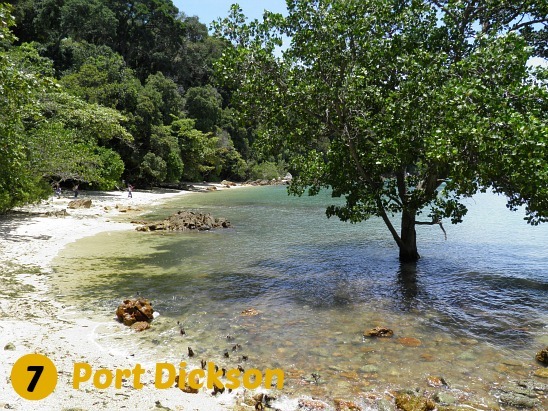 Most children enjoy the beach and the closest ones to KL are at Port Dickson. Pantai Cahaya Negeri is one of the best beaches at Port Dickson with fine white sand and the sea is fairly clear. If the kids don’t mind a walk, Cape Rachado is a fun place to explore. This narrow headland contains a small forest reserve, a historic lighthouse and a secluded beach although not great for swimming due to sharp rocks under the water. 8. The huge 817 hectare Malaysia Agriculture Park at Shah Alam has something for everyone including the Skytrex Adventure Park (lots of ladders, aerial ropeways and other extreme stuff), paintballing, animal park, spice and beverage garden, arboretum, fishing, kayaking and more. You can rent bikes here and kids’ sizes are available. The Four Seasons Temperature House is a popular attraction as it gives Malaysians the chance to experience some cold weather when it is the turn for the winter season. 9. 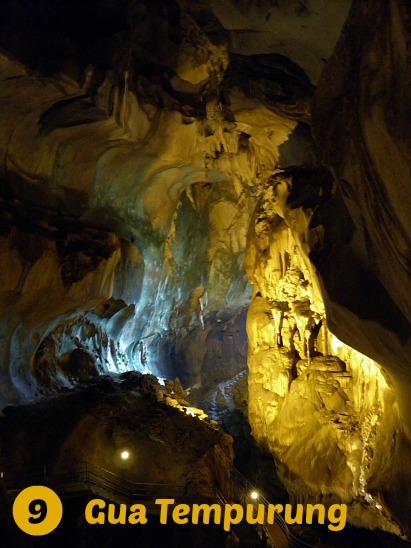 Malaysia is a great country to introduce children to the delights of caving and Gua Tempurung in Perak is one of the largest and most accessible caves. Four different tours are available ranging from an easy 40 minute stroll to a strenuous three and a half hours which involves wading through underground rivers. The caves are well illuminated with proper paths and railings and guides are provided. It takes around 2 hours to reach the car by car from KL. 10. 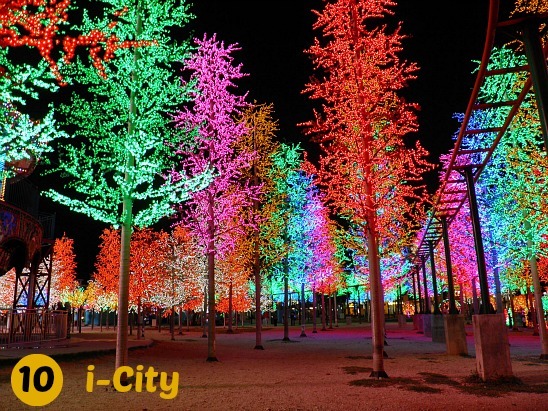 Closer to KL is i-City, a popular theme park in Shah Alam. Here kids can experience a winter wonderland in Snowalk and admire an amazing forest of man-made trees brightly illuminated with millions of colourful LED lights. Here too is the recently opened Waterworld@i-City, a water theme park which includes the first vortex spiral slide in South-East Asia. Another fun activity at i-City for kids is the Trick Art Museum where two dimensional paintings appear as three dimensional. I originally wrote this Top 10 Day Trips Outside of KL for Kids article for The MANZA Magazine - The Malaysian Australian New Zealand Association.